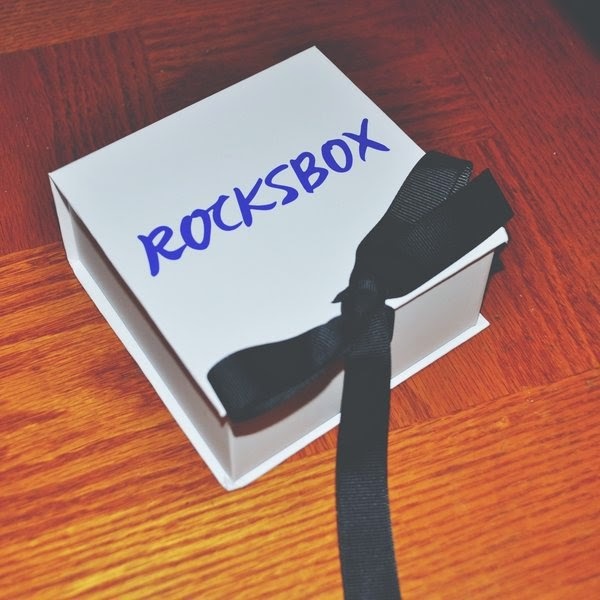 make a statement w/ Rocksbox! If you know me, you know that I love a good statement necklace! So when the lovely people at Rocksbox contacted me and asked if I'd like to try out their awesome jewelry rental service, I couldn't say no. As a dedicated thrifter, I'm all for saving a buck when it comes to clothes and jewelry. So I was super excited to find out that Rocksbox actually gives you the opportunity to access tons of designer jewelry pieces for only $19 a month! I know, I know.. doesn't it sound too good to be true? Basically, once you get started with Rocksbox, you begin by taking a quick survey that helps their stylists figure our your specific jewelry taste. Are you a statement girl or do you prefer delicate pieces? Gold or silver jewelry? Once they have an idea of your personal preference, your 3 pieces of amazing jewelry are on their way to your home! You can even send the jewelry back and get another 3 pieces as many times as you'd like each month with the provided free shipping label. Oh yeah and if you happen to fall in love with any of your pieces, you can use the $10 credit that Rocksbox gifts you each month towards purchasing and keeping it forever! Sounds great right? Well, I saved the best part for last...if you sign up for Rocksbox using my promo code: paigemariahxoxo, you can get your first month for free! Yes, that means unlimited access to designer jewelry for an entire month. As you can tell, Rocksbox has won me over already...plus who wouldn't enjoy a beautiful jewelry surprise consistently showing up in their mailbox? Exactly. What are you waiting for? Sign up here! You have made not too bad post sir, I will bookmark this page, an obligation of appreciation is all together for information. I truly esteem your own particular position and I will try to return here soon.and feel free visit my blog as well. - Our mission: to dissect chart-topping pop singles and weigh their trembling flesh on Lady gaga wiki Western music theory. Today I am typing about the unique genius of Lady Gaga's “Bad Romance.” From her early singles onward—“Just Dance” (U.S. No. 1), “Poker Face” (U.S. No. 1), “LoveGame” (U.S. No. Very awesome, When I seek for this I found this website at the top of all blogs in search engine.